Looking for Salesforce Marketing Cloud experts who could make your life easier? Our team can help you setup, implement and manage your campaigns. We have expertise in Journey Builder, Email Studio, Pardot, Data Studio and Interaction Studio. When you hire EmailMonks' SFMC team, you save 40% of your cost. 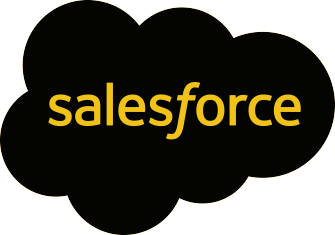 We can help you with any Salesforce marketing cloud requirements, from management to implementation, we can do it all. Targeting your lead at the right moment can help you convert them to customer. Using Journey Builder, we will analyse the actions of your customer based on their journey data, such as attributes, browsing behaviours, and purchase history, to create personalised messaging. We will create and map simple and complex personalised journeys of your customers to trigger timely messages. We will analyse and optimise the journey on regular interval to generate better results. Our expert team will help you nurture your leads with targeted automations such as welcome series, cart abandonement, post-purchase, upsell & cross-sell, etc. With Journey Builder, we can help you scale your marketing, delivering your messages, from hundreds to millions of customers. Our Salesforce expert team will help you execute your email marketing strategy flawlessly. From setting up to delivering your email campaigns in Salesforce Email Studio, we will take care of everything. We segment your data to deliver relevant message to your audience. We will create and test email templates, be it drag-and-drop or HTML email including AMPscript for personalised content, set up and deploy them in your email campaigns. We also have expertise in Salesforce data extensions (SFDEs) and can help you send emails with dynamic content. We will also A/B test your email campaigns to know what works better. We also analyse the performance of your campaigns and suggest improvements. With our experience of creating 3000+ email templates every month, we can create awesome responsive email templates in Salesforce Email Studio for you. Whether you need a drag-and-drop template or an HTML email build from scratch, we can create it for you. Our team can create interactive emails, editable emails and emails with personalised content using AMPscript. To make sure your email templates are error-free, we Litmus test emails across 40+ email clients to ensure compatibility. We also check emails in 15+ devices and multiple browsers to make sure they render perfectly. We have expertise to set up and maintain simple to complex email automation campaigns to send targeted messages to your audience and build conversion-driven landing pages to generate quality leads. We also analyse your marketing efforts and recommend suggestions to improve & generate better results with every campaign. We can help you leverage Salesforce's data ecosystem to grow your business. With our expertise of Salesforce Data Studio, we will develop new audiences for you and build new partnerships via peer-to-peer data sharing, and use that data to enhance existing campaigns. Using Interaction Studio, we can assist you in driving engagement of your customers at the right time and visualise thier activity at every touchpoint of the buying cycle. You will be able to make better informed decisions with detailed reporting of your marketing activities. Hiring Salesforce Mareting Cloud professional is an expensive affair. If you need Salesforce experts but don't want to invest in hiring in-house resources, you can hire EmailMonks' dedicated Salesforce team. Your dedicated team will work as your extended arm. Our skilled Salesforce Marketing Cloud experts include a team of developers and campaign managers. We align our team with your processes and your preferred communication and project management tools for streamlined execution of your email marketing strategy. We work under strict NDA terms and also have specific NDA terms with our experts. Hiring Salesforce marketing expert ranges from $4000 to $6000. The pricing will be as per the experience of your dedicated expert, ranging from junior to expert level Salesforce Marketing Cloud Email Specialists. We have a ready and trained team of Salesforce Marketing Cloud Specialists to work for you. You can save 30-40% of cost when you hire our team, as compared to hiring an in-house resource. You can scale up or scale down the hired resources as per your requirement during different times of the year. Fill the form below to let us know about your requirement or if you want to learn more about how you can hire a dedicated team of experts.